Orthopedic soft-tissue problems are common among the general population, whether from sports, occupational activities, or chronic pain. 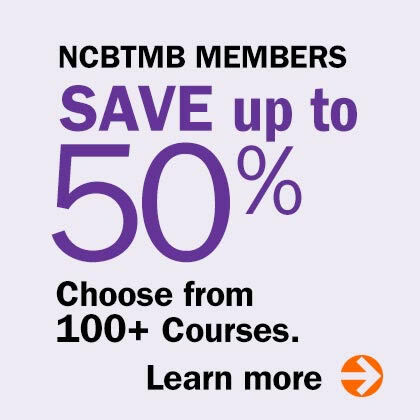 Learn important evidence-based approaches to safe, effective and cost-effective orthopedic massage through this continuing education program, written for those interested in understanding and applying massage as an intervention for soft-tissue disorders. Recent research into the physiological effects of massage has strengthened the justification for its use in the treatment of soft-tissue pain and injury conditions. 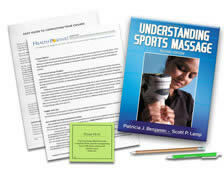 The course text presents a comprehensive and in-depth look at the physiological nature of these conditions and the massage treatments most effective for their relief. 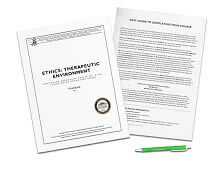 Providing validation for the role of massage in treating orthopedic conditions, the text also aims to help the therapist understand the relationship between the soft tissues to which techniques are applied and the overall orthopedic disorder affecting their clients. Case studies are included to demonstrate techniques and management in clinical practice. Step-by-step photographs of the techniques are depicted in full detail throughout. Loved this course! It was challenging but well worth the time and effort. The text was wonderful; well written and laid out and covered an enormous amount of information in a clear and concise way. The text will be a great source of reference that I'm sure to use frequently. I thought this course was EXCELLENT. I do a lot of deep therapeutic massage in my practice and nuch of the information either reinforced, enhanced and enlightened my knowledge of therapeutic massage. I honestly can't think of any additions which would bolster this course. I feel that you all did a great job in presenting the information. I really enjoyed learning about this subject. Although it overwhelms me initially I realize I have much to learn about this subject and it will be a learning process as I build my knowledge base with these techniques in theory as well as practice. I was also pleased at how much of this I learned in school through other modalities and classes. Thank you for such a great course! Whitney Lowe is an excellent author and an excellent choice for this course. He Condences a vast amount of information in a short book. It is an excellent quick reference novel for addressing many common orthopedic dis-eases. I have been doing massage therapy for 15 years. Last year I wanted a change and went to nursing school. I immediately went to work in an Orthopedic clinic after graduating. This was great, I look forward to sharing this with the Dr. I work for and hopefully intergrate my new career with my old. I found this course to be very helpful especially in refreshing some basics and most important it gave me a very clear insight and understanding of the cause of and correct treatment/approach of many injuries. 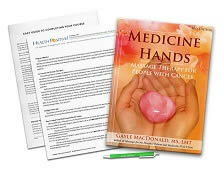 The textbook is very clear covering the material and is very handy to keep around in your practice. I have taken many courses from the Institute and find this course to be, by far, the BEST course ever. Whitney Lowe is exceptional at teaching and covering all aspects of the subject for massage therapists, athletic trainers, physical therapists and doctors. I have even recommended this course to my instructors at Modesto Junior College and CSU Fresno's Athletic Training Program and will be recommending it to my peers. I would most likely seek out other classes from Whitney Lowe because of his ability to be comprehensive and thorough. Fantastic!!! Very user friendly database/program. I have taken other online courses that pale in comparison RE: organization of material, clarity of test questions, ease of use. That, and it is such a relief to see quality practitioners offering their services with you (I LOVE Whitney Lowe - his work is remarkable), since attending real time work shops is not always an option. Thank you OMERI and Integrative Healthcare! Clear,concise,very informative. Enjoyed reading the text and gaining new knowledge. Wow, my head hurts!! That said, this is an incredible course! One of the best I've ever taken!! Clear content and presentation. I will use this ins my practice and the text will be a valuable resource. This course far exceeded my expectations!! Great course ... lots of material for further mastery. Thanks! Course content was extensive and will be very useful in my practice. Content was interesting and I would absolutely recommend this course. I absolutely loved this course. In my practice, I work with several physical therapists. The techniques that I leaned in Orthopedic Massage will definitely help the clients that they refer to me. I very highly recommend this course. It is very thoughtfully and thoroughly presented with valuable information to treat a large number of the most common complaints that well trained massage therapists can address and obtain positive results that truly help people with movement and pain issues. Text has a lot of important and useful information; definitely enjoyed the course. I've used Whitney Lowe's texts before and he is always an excellent source!! Wow! This course was very well presented. The textbook is very concise and has a great presentation to address all sections of the body. Any massage school would be crazy not to include this in their instruction for students. LMT's should pick up this course. The orthopedic massage course was very interesting. It took me back to study material learned in massage school and helped me remember/recall certain structures I normally don't think about, especially the chapters on the knee and ankle. 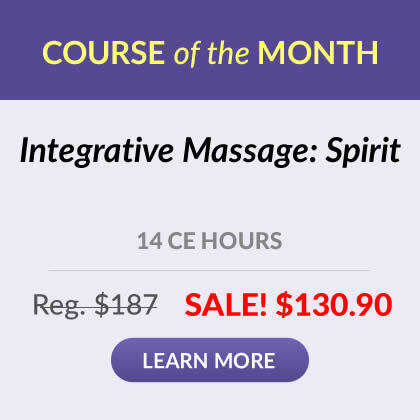 This course is a very good course for all massage therapists! I was very pleased with this course. It had updated information with helpful tips through the book as well as good quality pictures. For massage therapists, the contraindications and anatomy/physiology are very educational. The techniques can be immediately used in my massage or Physical Therapy practice. I thoroughly enjoyed this material and the illustration of applications were quite helpful to visualize the text. Applying this additional knowledge to aiding with client's pain and conditions will prove to be beneficial in my practice. This course exceeded my expectations. The book will be a great resource for reviewing particular orthopedic pathologies and treatment. Very thorough material. I feel this will be resource that I can go back to and utilize with my clients. Great course, Great education, Easy to learn! This was a very interesting read! Thanks for the useful content. This is such an great course. I love Whitney Lowe. With this new information and a great deal of practice I will be able to take my practice to a much MUCH higher level of excellence! I loved the course and learned things that I did learn in school. Wonderfully done. Very informative. Great refresher on anatomy. Always great material! Keep it up! I really think it is great information that I can easily apply to the massage therapy work that I am already doing. This class was a great add-on to previous training that I will be able to add into my everyday practice. I'm glad I chose this class. Comprehensive and invaluable in my practice. I plan to keep this text close at hand to refer to. I learned several things about muscle that I did not know,both about function and pathologies. Excellent course and will be very helpful in my practice. Great course! Learned a lot of techniques and understanding how to treat problems more effectively! Loved this course, it was easy to read and understand. There were a few things that i didn't know and it was cleared up for me. Over the last few months I've been thinking of going for my P.T. license and after going thru this course that decision is easy to make. Great for the busy practitioner! Excellent course materials and course overall. Exam was to the point and reviewed significant material. I will recommend this course to fellow massage therapists. I truly enjoyed the study book and the information is very useful. I am looking forward to applying these techniques in my practice. Thank-you for putting this knowledge in writing. Also is a great reference book to go back to. I really found the text very informative. I enjoy taking the on line courses. I am able to read at my own pace, digest the information and then confiendtly take the exam. I have already implemented some knowledge and techniques to my practice that has benefited my clients. You must be doing something right with the courses. I keep coming back for more! Thank you, I'm very satified with the Institute and the many choices of quality course material. I have taken several courses from the Institute. This text book will be a great resource for many years to come. I will definitely reference the book for specific injuries/ conditions and their treatment. My only wish for this specific course is that it would've come with a dvd. Excellent Research-Gives credibility to those practicing energy work. This course taught in depth clinical information and the book will be a well used reference source. Excellent course. Very technical and informative. Just what I wanted and needed to learn more. I highly recommend it to all massage therapists.